Another reason I love living in Evergreen, Colorado is that culture is everywhere and it is valued in our small mountain suburb of Denver! 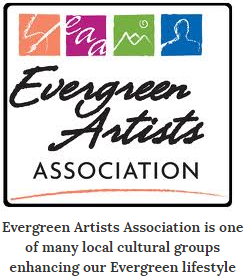 Evergreen is home to thousands of artists, photographers, musicians, Evergreen Players theatre and fine crafting talent. The last weekend of August we host The Evergreen Arts Festival. Artists from around the country flocked to mountain retreat. Of course they only had to fly into Denver International Airport and that meant a short 45 minute ride up here. This is our late summer grand event and we crowd Heritage Grove Park on Meadow Drive to check out new art and artisans from San Francisco to Manhattan, Port St. Lucie, Houston to Santa Fe. Since 1966, Evergreen Fine Arts Festival has been displaying Paintings, Photography, Sculpture, Jewelry, Woodcrafts and Imports, Glassworks, Fibers, Clay, and other 2-D and 3-D Art. Artists love our community and Evergreeners really appreciate the talents and diversity of the art in this annual show. Heritage Park is a 5+ acre park in the middle of Evergreen that was part of the original Buchanan Homestead. So while folks strolled through the park, purchasing art, and listening to acoustic music, they also enjoyed the home and living history of the Museum. You see Evergreen is not like other Denver suburbs. It's more than stick and brick, homes for sale and good schools. Where I live, Evergreen is a way of life you can't find elsewhere in metro Denver. It's more living in the mountains or Santa Fe. If you'd more information about Evergreen, please contact me on the form below. I have been selling Evergreen real estate for many years and know this area like a native.